It’s been more than a year now since Australian’s witnessed a long and exhaustive campaign for marriage equality. Despite the controversial voluntary Australian Bureau of Statistics yes/no postal survey, once all was said and done, revolutionary societal progression was made and Australia finally caught up with the 20-something other countries who have recognised the LGBTIQ community since as early as 2001. Though Australia hasn’t always supported this population from a legal standpoint, festivals like ChillOut have been loudly and proudly celebrating Aussie ‘queers’ for more than 20 years in our beautiful Victorian town, Daylesford. Existing primarily as an advocate for LGBTIQ rights, the festival embraces all things regional, just like Forte. Returning for its 22nd year for the March long weekend, ChillOut Festival will once again be taking over the town with a program as diverse as the queer community and its extended family of friends and supporters themselves. With an abundance of volunteers contributing to the success of the five-day festival with more than 50 events, featuring music, theatre, circus, dance and pool parties, sporty pursuits, a children’s program and a stellar line up of performers, the festival is undoubtedly a ‘people-powered’ affair. “It’s definitely grown this year,” beams artistic director Merryn Tinkler. “We’ve had a lot more of the town come on board and ChillOut has taken a lot more initiative; bringing partnerships in and supporting a lot more people to do a lot more events. It has really taken off this year as the festival is making its way into adulthood,” she says. A highlight this year and a massive leap for ChillOut is the addition the Festival’s newest venue, The World Famous Beagle Tent, which will see an array of internationally acclaimed circus, theatre and cabaret performances take place. Festival goers will be privy to bent, queer and freaky fun works including the joyful riotous call to action adult theatre, circus and cabaret pervaded work Give A F*Ck Cabaret; the no holes barred circus, BENT; the wickedly funny, often filthy cabaret, Baby Bi Bi Bi and LoriBelland Bobby Macumber’s comedic antics in The Dykeside. Alongside the Beagle Tent, Tinkler emphasises the festival will reach peak frivolity on Sunday when the much loved ChillOut Parade takes over the town for a magical hour long carnival parade immediately followed by the ChillOut Carnival. Other delights on the ChillOut 2019 bumper 50+ event program include an all night disco featuring Immaculate Madonna, the Peacock Pool Party, Wendy Stapleton’s Swinging Sixties Show, a roller derby, a golf Ambrose competition, ChillOut Morning Bush Walk along with food, wine and even more music. Despite the great events lined up, along with what the law now states about marriage equality, Tinkler stresses that it’s still not all sunshine and roses for their community. It’s for this exact reason that ChillOut have created a new Raising Rainbows initiative which will be the major fundraising campaign for the duration of the festival. Stemming from when some students from a Central Victorian Secondary College were heckled and abused for raising the Rainbow flag at their school, the Raising Rainbows initiative is a commitment to fund as many flagpoles and rainbow flags as required by regional schools, community groups and non-government not-for-profits. 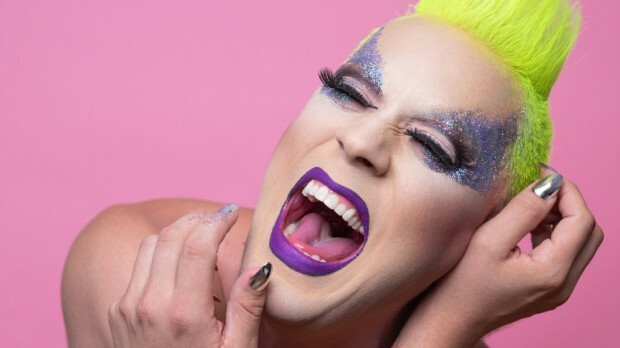 To help raise some funds for this initiative, the festival will be hosting a sumptuous cocktail party and art auction at the Palais Hepburn to welcome the start of ChillOut 2019. So why should someone go to Australia’s premier celebration of Queer Country Pride when it returns to regional Victoria’s LGBTI mecca Daylesford?